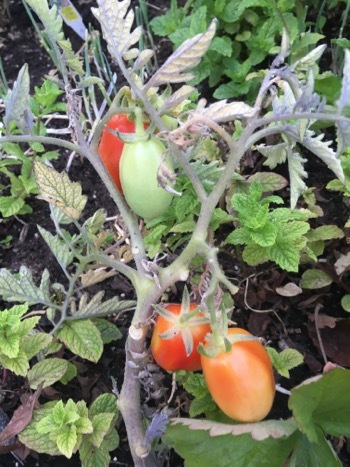 Growing Tomatoes - Everything your need to know. 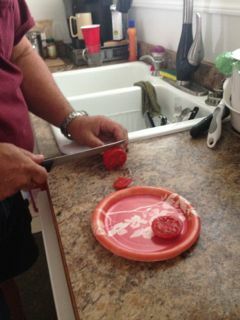 Picking my ripe juicy tomatoes from the vine is one of the best things about summer. I believe in growing organic vegetables. I plant in my backyard vegetable garden under plastic covers. I live on the Canadian West coast and blight is too much of a risk to grow them without any protection. If you are not quite brave enough yet to start your own transplants, you can buy healthy plants from most nurseries in the spring. Tomatoes grow well in containers or in the ground. Read on for my gardening tips. Soil - Light, porous and well drained with pH 6.0-7.0. If soil is acidic add lime. Planting Times - Sow indoors February to late March; transplant late May when soil is warm. Plants should be 6-10 inches tall with at least 4 leaves. Planting Instruction - Plant deep, burying lower leaves. 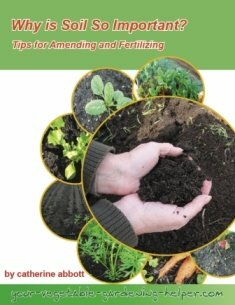 Add a handful of compost to the hole when transplanting. They need to be staked (we tie them up with twine in the greenhouse). Water well. Watering - Water deeply when weather is hot. If the fruit is splitting it is a sign they are not getting enough water. 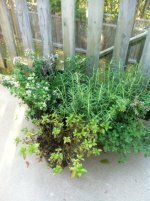 Weeding - Keep weeded while plants are small. Disease & Insects - Keep covered after July to avoid blight. Harvest - Pick fruits that firm and red, yellow or any other color the variety may be. Green fruit can be harvested and will ripen inside your house. Storage - Store ripe fruit on the counter or shelf. Firm green fruit can be wrapped individually in paper and stored in a cool dark place. Check regularly for ripened fruit. Do not wash before storing.